The Kalbarri Beach Resort offers every facility you could want in one place! Give yourself a break and stay at the Kalbarri Beach Resort. 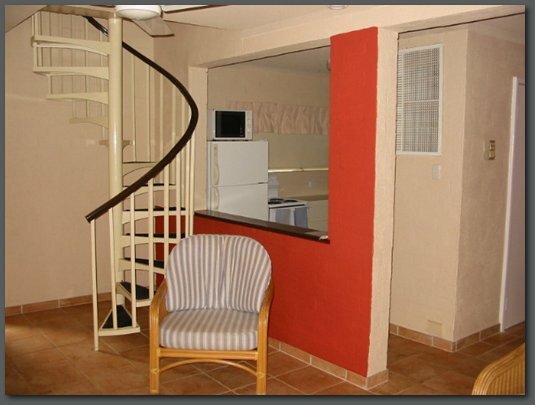 The Kalbarri Beach Resort offer fully self contained 2 bedroom apartments and 3 bedroom town houses all with renovated bathrooms. The beach resort has a large pool with kiddie section along with play equipment and games room. 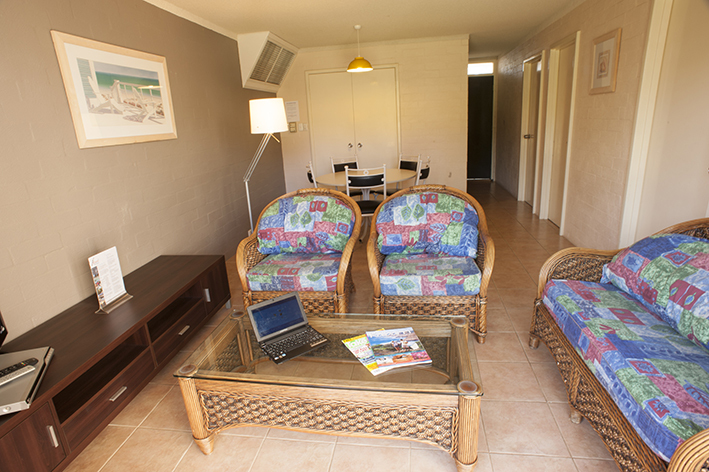 Kalbarri Beach Resort is ideal for the family holiday or a couples getaway. There is something for everyone! Has Spiral staircase, beds & bathroom upstairs. Please review the Kalbarri Visitor Centre Terms and Conditions prior to completing your booking https://www.kalbarri.org.au/terms Must give 31 days notice of cancellation or forfeit one nights accommodation. Kalbarri Visitors Centre will retain a $55 administration fee on all cancellations KALBARRI BEACH RESORT ALL CANCELLATIONS OF BOOKINGS UP TO 7 DAYS CREDIT NOTE WILL BE ISSUED FOR AMOUNT PAID VALID FOR 12 MONTHS. CANCELLATIONS OF LESS THAN 7 DAYS NO REFUND OR CREDIT NOTE ALL RATES AMENDABLE. 3.4% CHARGE APPLICABLE FOR DINERS CLUB & AMERICAN EXPRESS CARD 1.5% CHARGE APPLICABLE FOR VISA & MASTERCARD All room requests can be noted on your booking however can not be guaranteed.